Today, I would like to introduce this amazing pattern – the shell-shaped Table Centerpiece. Below are photos from the most amazing realisation. The centrepiece in the top photo was created by the Brasilan Artist Cristina Vasconcelos. The lowermost photo in the above collage is a realisation of the pattern called ‘Muschelform’ by H. Toprak. The photo was made by @Ingreed. 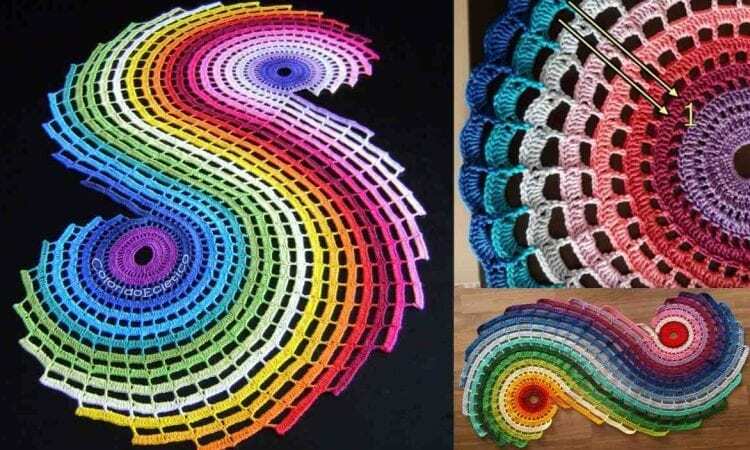 This photos above are the next realisations of this pattern and are from Nicole’s little crochet school’s tutorial. More realisation of this pattern can be found on Ravelry. You can find more Cristina Vasconcelos projects on her webpage. Don’t forget to Like us on Facebook. Share your ideas and your work on our Facebook group! cant get pattern, what do I do? I clicked on ctrl P then scrolled down for the pages I wanted to print. It prints but I need to make it bigger so will enlarge it on my printer. That is the only way to get this pattern. No directions jut visual. Extraordinary and spectacular creation by Brasilan Artist Cristina Vasconcelos. May I request to get in touch with Ms Cristina. I am a Senior Citizen who likes to learn this skill as a hobby and start a small home based business. I love ur patterns. Ur site is awesome.